Organizations that work within multiple-countries have varying cultures and subgroups within their working populations. As multi-national firms become more common it is necessary for leaders to develop a level of cultural intelligence in order to function effectively with people of varying backgrounds. A team of researchers Rockstuhl, et. al. 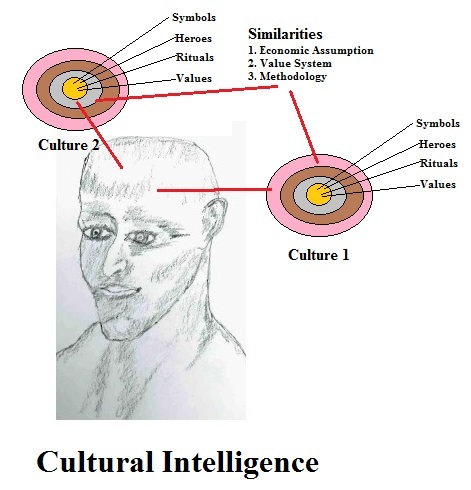 (2011) investigated an elusive concept that has been gaining attention called cultural intelligence. Where IQ helps one solve problems and emotional intelligence (EI) encourages inter-personal relations, cultural intelligence (EQ) may impact international leadership effectiveness. Changing environments require changes in the skill set of leaders. Due to these changes the careful selection, grooming, and development of leaders within the global economy are necessary to meet new challenges (Avolio, et, al., 2009). Despite this need, most leadership literature has been focused on domestic leadership skills without emphasis on decisions within a more complex global environment. Global leaders have a greater awareness that exists beyond national borders. To effectively work as a global leader it is necessary to 1.) adopt a multi-cultural perspective beyond national borders; 2.) balance both local and global demands even when they are in contradiction; and, 3.) work with multiple cultures simultaneously instead of with a single culture (Barlett & Goshal, 1992). As each culture views leadership slightly different it is necessary for the multi-national leader to develop a larger perspective to fit within these perceptions. To develop this wider perspective a level of intelligence is needed to not only manage daily affairs across borders, the complexity of business operations, but also the social aspects of leading. Both general intelligence (IQ) (Judge, et. al, 2004) and emotional intelligence (EI) (Caruso, 2002) have done well in explaining leadership success in national contexts. Yet this leaves cross-border leadership still undefined and elusive to many researchers. Metacognitive cultural intelligence (CQ) is a level of conscious awareness about different cultures, their underlining assumptions, and how these assumptions impact behavior. They use deep level processing to create cognitive maps of cultures and peoples in social settings in order to navigate those settings for effective outcomes. As more life experience is earned they continue to adjust and update their mental maps (Triandis, 2006). They are rarely stagnant and always adjusting. Those with such skills have an intrinsic interest in cultures, understand non-verbal cues and are able to better to communicate with people (Rockstuhl, et. al, 2011). They have a natural sense of what people need and try and put them at ease in order to better communicate. With their ability to understand themselves, people within the environment, and challenge assumptions they become more accurate in their influential behavior. Throughout their lives this process becomes more accurate, more aware, and more effective. The researchers (Rockstuhl, et. al, 2011) used 126 military leaders from the Swiss Military Academy in Zurich. Each of the participants were part of a 3 year program to improve their cross-border effectiveness due to increased likelihood of international conflict. The results found that IQ was related to effectiveness. Emotional Intelligence (EI) was related to general effectiveness within national borders but not internationally. Cultural Intelligence (CQ) was related to overall cross-border effectiveness. This increased as people become more culturally aware. Avolio, J., Walumbwa, F. & Weber, T. (2009). Leadership: Current theories, research, and future directions. Annual Review of Psychology, 60, 421 – 449. Bartlett, C. & Ghoshal, S. (1992). What is a global manager? Harvard Business Review (September-October), 124 – 132. Caruso, D., Mayer, J., & Salovey, P. (2002). Emotional intelligence and emotional leadership. In R. E. Riggio, S. E. Murphy, & F. J. Pirozzolo (Eds. ), Multiple intelligences and leadership (pp. 55 – 74). Mahwah, NJ: Lawrence Erlbaum. Judge, T. A., & Piccolo, R. F. (2004). Transformational and transactional leadership: A meta-analytic test of their relative validity. Journal of Applied Psychology, 89, 755 – 768. Triandis, H. C. (2006). 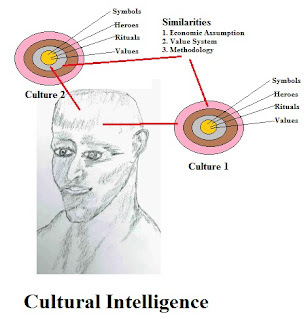 Cultural intelligence in organizations. Group and Organization Management, 31, p. 20 – 26.